The National Disaster Risk Reduction and Management Council (NDRRMC) recommended to Malacañang on March 20 the full reactivation of the ENTF to be led by NEDA as well as the addition of water security among the areas of concern. 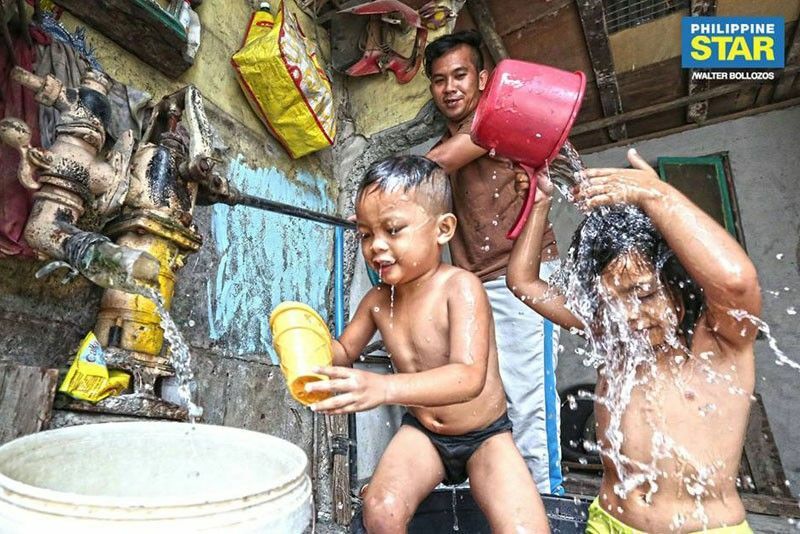 MANILA, Philippines — Water and food security will be top priorities in the immediate responses of the El Niño Task Force (ENTF) that is being reactivated, the National Economic and Development Authority (NEDA) said over the weekend. When the multi-agency task force was first convened during the 2015-2016 El Niño, the only areas of concern acted upon were food security, energy security, health and public safety. A memorandum order from the Office of the President is awaited to implement the recommendations of the NDRRMC. Because of prevailing water supply issues, Socioeconomic Planning Secretary Ernesto Pernia said it would be more prudent at the moment to prioritize water security over energy security. “As the popular saying goes, it is more difficult not to have water than not to have electricity,” Pernia said in a briefing Friday. “We will put water security above all else as suggested by Secretary Pernia,” NEDA Undersecretary for regional development Adoracion Navarro said in the same briefing. NDRRMC also recommended a review of the Roadmap for Addressing the Impacts of El Niño (RAIN) through a series of technical meetings of the ENTF. “NEDA is ready to take a lead role in mitigating the effects of El Niño. We will also review and improve the RAIN to better suit the country’s current conditions,” Pernia said. According to the official update of the weather bureau, this year’s El Niño can be considered weaker compared with the 2015-2016 phenomenon. As of March 19, 16 provinces were found to already experience drought. This month, the count can be as high as 51 with most of the affected areas situated in Luzon. The Department of Agriculture reported the damage to the agricultural sector has reached P4.35 billion from 149,494 hectares affecting 138,859 farmers and fisherfolk nationwide. Affected regions are the Cordilleras, Ilocos, Cagayan Valley, Central Luzon, Calabarzon, Mimaropa, Bicol, Western Visayas, Eastern Visayas, Zamboanga peninsula, Northern Mindanao, Davao, Soccsksargen and BARMM. For rice alone, damage has reached P2.69 billion affecting 111,851 hectares and production volume of 125,589 metric tons. For corn, damage has increased to P1.66 billion affecting 37,642 hectares of lands with volume loss at 107,416 MT. The DA said it continues to conduct field validation to assess the damage and losses, and monitoring of standing crops in areas at risk. A total of P96 million in financial assistance from the DA’s Agricultural Credit Policy Council has been allotted under the Survival and Recovery Assistance Program that will benefit 3,835 affected farmers. The processing of documents for areas declared under state of calamity due to El Niño – including Rizal, Occidental Mindoro, Zamboanga City, Zamboanga Sibugay, Cotabato, Maguindanao and Negros Occidental – is ongoing. The Philippine Crop Insurance Corp. has so far paid P43 million of insurance to 3,534 affected farmers in provinces in Ilocos, Central Luzon, Calabarzon, Western Visayas and Northern Mindanao. As water security is a top priority in the expanded RAIN (E-RAIN), key interventions include the close monitoring of major dams and supply allocations alongside pressure management; deployment of water treatment facilities, tankers and static tanks; increased water extraction by Local Water Utilities Administration (LWUA) and private service providers; reopening of deep wells; and installation of rainwater collectors. The National Irrigation Administration will also regulate dam water releases and ration irrigation supply. The government will continue working with Manila Water in pressure management, deployment of mobile water treatment plants and water tankers, and coordinating with Maynilad in the water-sharing scheme. Also part of the short-term measures is the strengthening of the National Water Resource Board (NWRB) by converting it into the National Water Management Council (NWMC) which will be the apex body for managing water resources. This will address the fragmentation of regulation in the water sector by harmonizing regulations. An executive order for the creation of the NWMC is in the works, according to Pernia. “There is a need for an apex body that will oversee the overall planning, programming and policy formulation based on sound data. We should also cite the gaps in water services that remain despite the abundance of the resource and programs and projects for the sector,” he said. The long-term solution is to push for the creation of the Department of Water Resources that will ensure the sufficient allocation of water resources across sectors, Pernia said. Senatorial candidate Samira Gutoc said the government should take full control and protection of the farmers, particularly in Mindanao, against the adverse impact of the prevailing El Niño phenomenon. “What is happening to Cebu, now placed under a state of calamity because of the drought, should not happen to Mindanao and other parts of the country for that matter. The government should take proactive steps to protect our farmers,” Gutoc said. Gutoc, who hails from war-ravaged Marawi City, said Mindanao currently accounts for 15 percent of the country’s gross domestic product and 40 percent of agricultural production. The Philippine Atmospheric, Geophysical and Astronomical Services Administration (PAGASA) earlier warned of drier and warmer conditions in the country this month due to El Niño. The weather bureau said 51 provinces or 61 percent of the country may experience drought while 32 other provinces can be under the dry spell by the end of April. The Provincial Disaster Risk Reduction and Management Office of Cebu has placed the entire province under a state of calamity due to the effect of El Niño on crops. Ana Liza Solis, chief of PAGASA’s Climate Impact Monitoring and Prediction Section, said the country is likely to experience a prolonged dry season this year. PAGASA officially declared the onset of the dry season on March 22. On the other hand, the United Nations weather agency identified Typhoon Ompong (Manghkut), which crossed the Philippines in September last year, to have contributed to economic losses, worsened food insecurity and malnutrition. The World Meteorological Organization (WMO)’s State of Climate report said Ompong was associated with losses in crops and fisheries that put the Philippine population’s food security at risk. “Disruption to agricultural production affected the country’s food supply for the following months, while the loss of livelihood for farmers and fisherfolk during the September–October harvest worsened the food insecurity and malnutrition,” the report said. UN Secretary-General António Guterres said WMO’s latest report on global temperatures, extreme weather and climate change indicators and socio-economic impacts is “yet another strong wake-up call” on the need for more ambitious climate action. According to the report, exposure of the agricultural sector to climate extremes is threatening to reverse gains made in ending hunger and malnutrition.